Do you have one remote location or do you operate a network of 300 remote locations? ANP can help, for 30 years we have been designing, deploying and providing lifecycle managed services for some of the largest Cisco Wide Area Networks(WANs) in the Delaware Valley. Managing network support for your wide area network across a large geographic area or to connect your local area network (LAN) presents challenges. While WAN management is one of the basic network support services your company needs, effective network support tools are typically expensive to implement and difficult to administer. 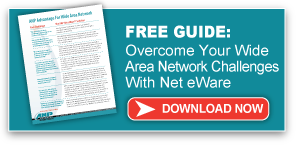 Net eWareSM for Wide Area Networks offers a fast and cost-effective way of gaining control over your WAN and maximizes your network’s uptime. Net eWare is different from traditional network support -- it’s a combination of proven remote network management tools and certified network engineers that delivers the performance and reliability you demand from your wide area network. Say goodbye to downtime and lost billable hours due to WAN data circuit or device failures, and enjoy increased profitability, productivity and peace of mind. Less Downtime -- Automated problem detection and advanced threshold monitoring results in early detection of network issues and minimized downtime. Flexibility -- Flexible processes enforce your existing configuration management policies and help define a configuration management policy for your organization. Secure Reporting -- Trend, bandwidth use and WAN activity reports are available via a secure, easy-to-access Web-based portal -- offering easy access to the data you need to make informed business decisions. 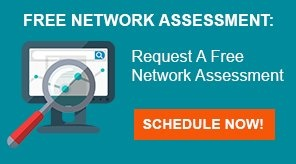 One Point Of Contact -- A dedicated network engineer -- with an in-depth understanding of your wide area network and your objectives -- serves as your primary technical resource and is available by phone for problem solving, network-design consultations and to go over the monthly engineering analysis for your network. Solve your wide area network problems and get the network support solutions your business needs today.